Ten years ago the family run business started a winery whose premise was to show the world the potential greatness that lies in the heart of all of Spain’s wine regions. The winery’s first release was in 2003, and since then it has slowly been growing the business. They have steadily, and carefully, been adding wines to the portfolio, that show the true vibrancy of the region and ones where they have control to make the correct decisions in the vineyard. 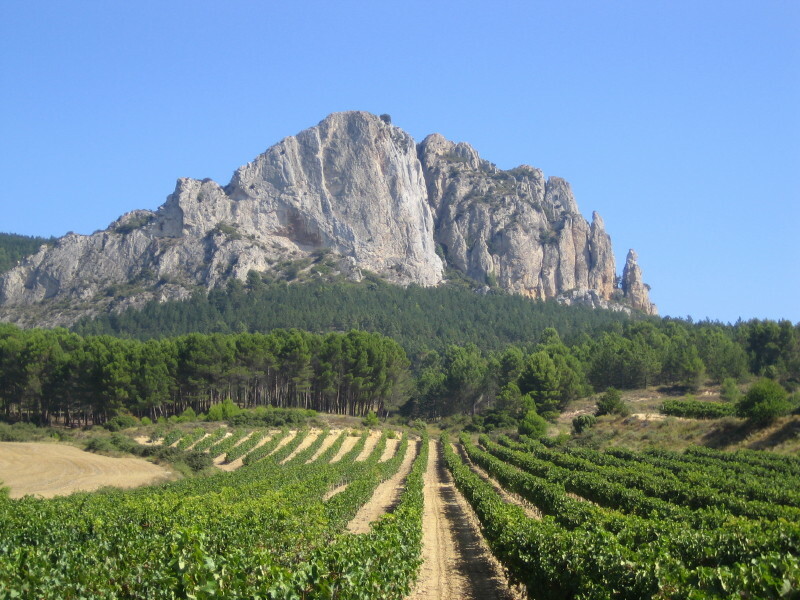 Elvi has its own vineyard and winery in the Denominación de Origen (DO) of Montsant. The Elvi Adar hails from the Ribera del Jucar DO (situated in the center of Spain), but from the beginning Mr. Cohen has wanted the winery to “sojourn” all around Spain in order to develop a range of wines, from local grapes, that reflect really their respective terroir. The logo on the bottle draws from this inspiration, a Mediterranean boat, with which they can travel across Spain, to harvest and bottle the best of what Spain has to offer. The winery consultants for many vineyards and wineries, which allows them to select from many wineries all around Spain where they can make the best wine for the value. No matter if they own the vineyard or if they lease the land, Cohen is always looking for the best fruit and the best environment to keep true to their mantra, of letting the terroir speak for itself. Whether that is small ripe berries, to concentrate the fruit flavor, open bunches (where the fruit is exposed to the sunlight), or the way the soil and ground cover manage the water consumption of the vines. Elvi Wines is a wonderful example of how of a winery that uses technology to coax out the truth that lies deep in the grape and dirt rather than manipulating the grape and wine. 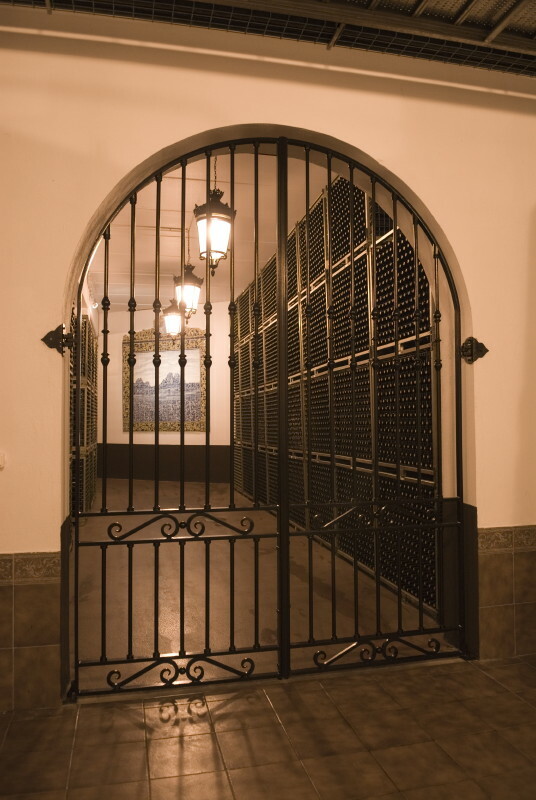 When you talk Spain and kosher wine, most will immediately think about Capcanes wines as they have recently been given massive scores by Jay Miller reporting for the Wine Advocate. 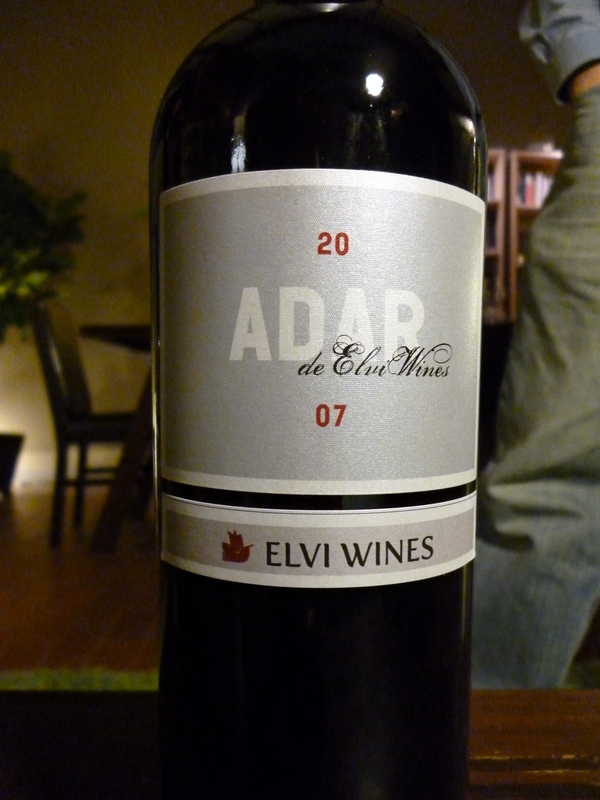 However, Elvi recently was the only kosher wine/winery that was part of the 2012 Penin’s Guide to Spanish Wines! Yup! No Capcanes nor any other kosher Spanish wine! However, it was not just one of Elvi’s wines, rather it was 7 of Elvi’s wines that were on the list! 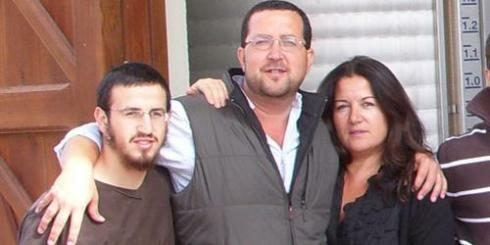 Congratulations to Moises and family. I was invited to join Moises at the event last month, and I was all set to do so, but in the end I had to drive down to LA for a wedding of a friend of mine. Moises was so nice, so he brought wines by hand and we enjoyed the wines before and over dinner. The video above is not my video but I wanted to give you all a chance to enjoy Moises as much as I did! The fascinating thing about listening to and watching Moises talk, is that he is calm, passionate, insanely knowledgeable, and driven to make the best wine possible (kosher or not) from all that his beloved Spain has to offer. Listen to him for a bit and you will hear all the buzz words; local grapes, local vineyards, organic farming, single vineyards, etc. The truth is that while he can talk and charm an Eskimo into buying snow, his product backs his talk all the way to the end zone. When Moises started the winery, he thought a long time about which wines were worthy of the effort and making sure that the wines would meet the growing standards of kosher wines. Not only were the wines a success but he did it in a very shrewd manner, he made the wines in the wineries that he personally consulted with. This allowed Moises to be sure that the grapes were of the highest quality, as he personally oversaw the creation and maintenance of them. Further, the close relationships that he built with the clients made it an easy win-win for both sides when he wanted to step into the winery business. The winery owners had sure income and he had solid quality grapes. Like all good operations, he built Elvi Wines up slowly, first with reds, then a Cava, and then a unique white, all the while keeping the quantities within reason and the quality at its peak. However, when he chanced upon the opportunity to partner with Bodegas Castillo de Sajazarra, while helping them build out their vineyard, it was a blessing from above. The kosher wine world was screaming for top flight Rioja and the wines that Elvi made in partnership with Castillo de Sajazarra is just that – some of the best Rioja in all of Spain, according to Penin. Actually, Elvi’s wines are served in the top Michelin rated restaurants in Spain. The pictures on the site about the vineyard is awesome! If you wait to flip through all the pictures you watch the ground being plowed, planted and monitored with many of Moises cool technology! However, the best part is the pictures of the animals who nestle near and within the vineyard due to their organic maintenance. Another fascinating part of the relationship was the discovery of an old building that was used by the Jews, before their explosion, from Spain, in 1492. 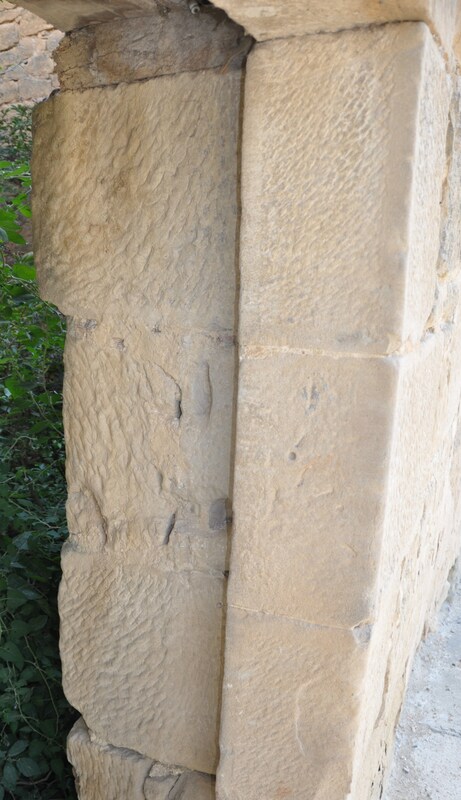 The building was where the Jews made wine and on the right you can clearly see the space for a Mezuzah. The fascinating thing is that the spot is vertical and not slanted, like many do in America and abroad. That is because Spain was the fertile ground for the Sephardi Jews (literally meaning Spanish in Hebrew) and the Sephardi custom is to place the Mezuzah in a vertical manner. The Ashkenazi Jews actually place the Mezuzah on a lean. Why? 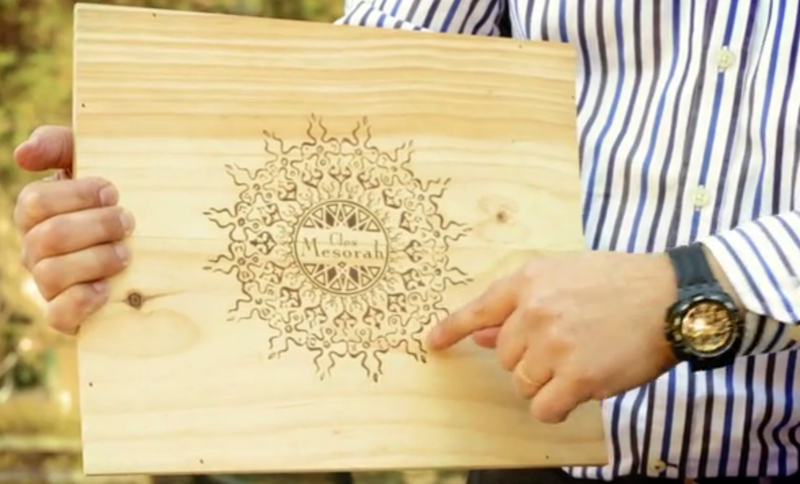 Because there were two opinions on how to place the Mezuzah, Rashi said to place it vertically, while his grandson, Rabbeinu Tam, said it should be placed horizontally. The Sephardi Jews simply follow Rashi to the tee (according to Rav Yosef Karo) and place it vertically, as he thought, while the Ashkenazi Jews place it in the middle, as a compromise between the two opinions. The vineyard back right up to the mountains with drastic temperature shifts between day and night, allowing the fruit to ripen slowly while not giving up all of their acid potential. The vineyards are where the InVita, Mati, and Herenza come from. The rest of Elvi’s line come from other vineyards scattered across the breadth and width of Spain, including the new flagship Clos Mesorah. 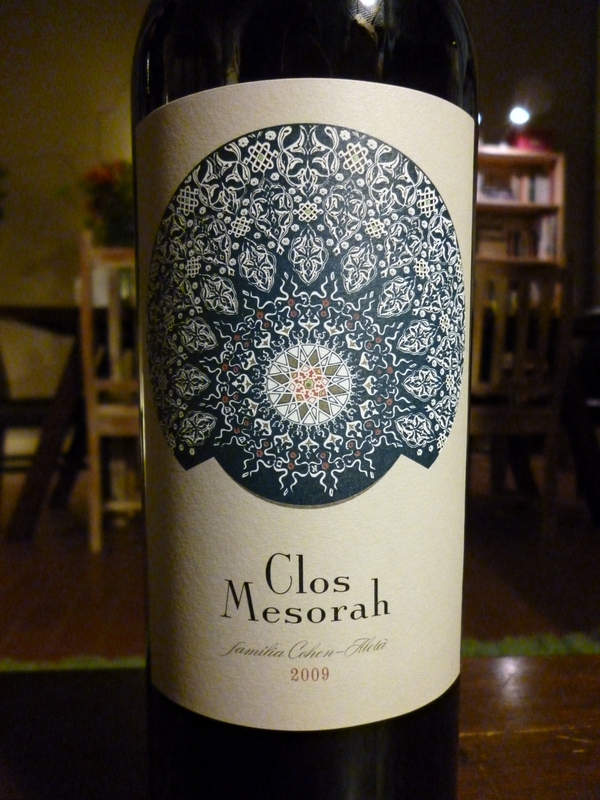 The idea being that this Clos Mesorah (Clos in French means close/enclave/family and Mesorah in Hebrew means generation/history/Jewish transmission) is a winery and wine from the family’s vineyard that is rooted in wine history and Jewish tradition. Further the circle like image on the label closes the loop around the family and their love and passion for all things of the vine. The wine is awesome and like Moises says, it is one of the best wines out there, it just happens to be kosher. To me Elvi is one of those wineries that is a safe-bet winery. The wines are always yummy, they may not be blockbuster all the time, like the EL26 and Clos Mesorah, but they are rock solid choices when you are faced with a wall of wine and you are unsure. All the wines we tasted and than drank are still not available in the US. A representative from Royal Wines (who imports Elvi Wines) told me that the wine is coming to the US in the summer. 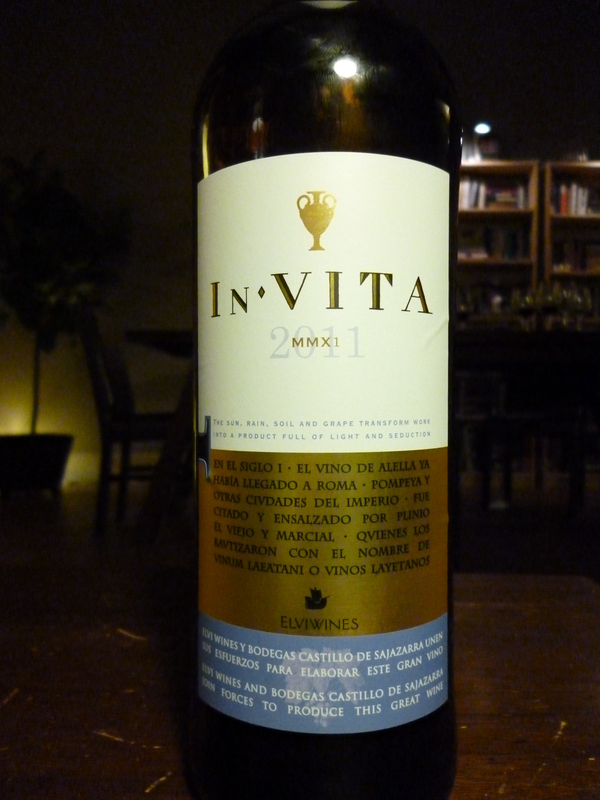 The wine is a blend of 25% Bobal, 25% Cabernet Sauvignon, 25% Merlot, 20% Tempranillo, and 5% Petite Verdot. The wine starts off with a crazy nose of chocolate, heavy spice, cups of herb, lovely cherry, and raspberry. The mouth starts off with a heavy hit of sour cherry wrapped in good spicy oak, blackcurrant, sweet blackberry, along with a soft and plush mouth, mouth coating tannin, that all comes into a round mouth with constrained ripe yet rich and sweet fruit. The finish is long and spicy with a bit of sweet notes, tar, almond pit, tobacco, and leather. Quite a lovely and rich wine that is a great example of a wine made from ripe fruit but not overly or uncontrollably ripe fruit. The wine is a blend of 40% Carignan made from 90 year old vines, 30% Grenache, and 30% Syrah. 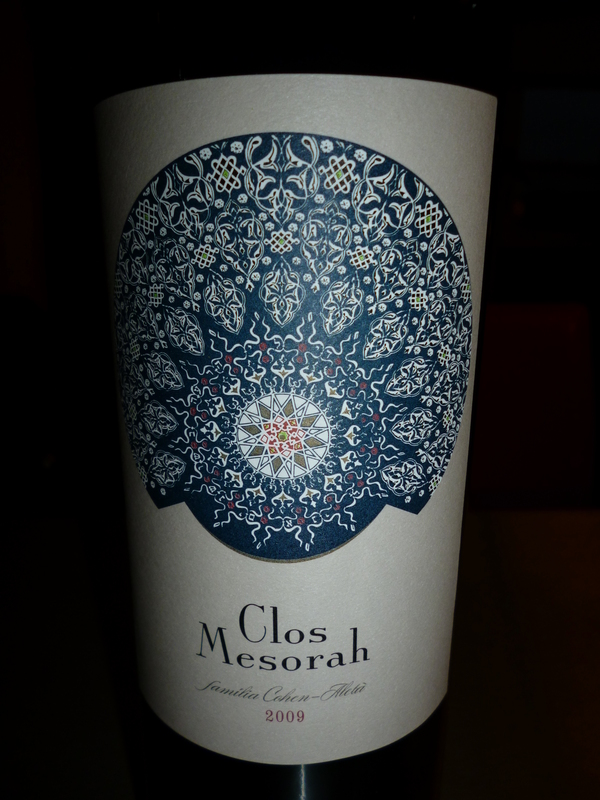 This is the first release of the Clos Mesorah wine in a kosher format and it is well worth the wait. The wine is lovely and personally edges out the Capcanes Peeraj Ha’bib and makes it the best kosher Montsant out there, by a hair. The reason why I say this is because the Clos Mesorah has a more controlled nose and mouth that is devoid of raisin and date and also does not have the overly loud toasty/burnt oak. The wine has a crazy rich and perfumed nose of ripe but controlled blackberry, crazy spice, black cherry, cheesy notes, lovely blueberry, and floral notes. The mouth is rich and crazy with concentrated and layered fruit, lovely integrating mouth coating tannin, along with a massive attack of spice, buttered herbs, and good cedar that fills the mouth and makes for a rich mouth-feel. The finish is long and spicy with rich bakers chocolate, vanilla, ripe black and blue fruit, and butterscotch, with fruit and butterscotch lingering long on the palate after the wine is gone. The wine is a blend of 65% Pansa Blanca and 35% Sauvignon Blanc. Pansa Blanca is a grape that is rarely used in still wine and makes for a very unique flavor and wine experience. This is not your average white wine that we suffer with and not another Chardonnay. Rather, it is a rich and mouth filling wine that is brightened by the blend of Sauvignon Blanc, but rich and tropical from the Pansa Blanca. This lovely white wine takes off from where the Elvi Ness Blanco left off and is well worth finding it. The nose explodes with bright lemon, Asian pear, green apple, melon, grapefruit, pineapple, along with Sauvignon Blanc fruit, green notes, lychee, and heavy floral notes. The mouth is big and round with nice balancing minerality, round and ripe almost sweet fruit, with herbal notes, that make for a full mouth. The finish is long and spicy with lemon/lime creme fresche and crazy long lasting citrus zest. This wine is a 50/50 Muscatel and Sauvignon Blanc blend, one that is not very common to me. When we tasted this a year ago the wine was showing nicely with Sauvignon Blanc more than Moscato. The nose on this light gold colored wine is screaming with rich honey, guava, wet grass, kiwi, and lovely grapefruit. The mouth on this medium bodied wine is off dry to semi-sweet with nice rich tropical fruit, honey, and balanced acidity, along with wet grass and spice. The finish is rich and tart fruit with nice honey, spice, more grass, and lemon. This is a nice tart wine with good wet grass yet rich all at the same time. This was a fun wine that has now turned more honeyed and round. The nose on this dark garnet colored wine is rich with ripe plum, rich earth, raspberry, date, and black cherry. The mouth on this medium bodied wine is rich with light hints of oak, influenced from 20% of the wine being in oak for 10 months. The structure of the mouth is rich and inky, textured with nice earth notes and dark fruit, almost concentrated and rich. The wine is nicely balanced with rich and zesty acid and nice mouth coating tannin. The finish is long and tart with nice earth, rich still gripping tannin, and nice ripe and rich fruit. The oak does not show strongly in the mouth but it’s influence is felt nicely. The nose on this dark garnet colored wine is rich and screaming with candied fruit of cherry, raspberry, currant, garrigue, bramble, light oak, and tobacco. The mouth on this medium to full bodied wine is rich and spicy with candied red fruit and nice earth and bramble tones that is nicely integrating and coming together to highlight light oak influence and integrated tannin. The wine is nicely balanced with spicy notes, rich red and candied fruit, rounding oak, nice tannin, and spice. The Adar has many similarities to the Vina Encina as it shares some common components, however, it differs clearly in its blacker fruit, richer dirt, and coffee. The nose on this dark garnet to black colored wine is rich with candied fruit of black cherry, raspberry, dark plum, blackberry, deep earthiness, cassis, and coffee. The mouth on this full bodied wine is rich with nice candied red and black fruit, balancing acid, mineral, mouth coating tannin, and spice. The wine is not so oak forward as much as it is oak influenced and rounded by sleeping in a 300L oak barrel, where the impact is not as pronounced as a smaller barrel. The finish is long and spicy with nice coffee, black fruit, integrated tannin, dirt, and oak. The nose on this dark garnet, 100% Tempranillo wine, starts right out of the bottle with a powerful nose of chocolate and tobacco. As the wine opens up, the chocolate and tobacco give way to cherry and raspberry notes. The mouth on this full bodied wine is smooth and concentrated, with cherry and raspberry fruit that follow the nose. The mid palate is bright enough to balance out the wine while sharing space with a hint of tannins that are integrating nicely. The finish is long with a return of the cherry fruit, acidity, on a bed tobacco leaves and chocolate candy. The nose on this dark garnet to black colored wine is highly extracted with rich and ripe blackberry, black plum, toasty oak, raspberry, loamy dirt, bramble, chocolate, and tobacco. The mouth on this rich and super extracted mouth is complex and layered with massive and mouth coating tannin, rich and toasty oak, ripe and black fruit all coming together to make a wine that is very rich and spicy with ripe black fruit with all the components coming together nicely. The wine is balanced and the finish is toasty long and super extracted with even more mouth coating, ripe black fruit, plum, rich chocolate, and tobacco leaves. The nose on this garnet to black colored wine was rich with cedar, vanilla, coffee, dirt/bramble, blackberry, black cherry, currant, plum, and mint/eucalyptus. The mouth on this medium to full bodied wine initially showed bubbles, which was a bit offsetting, over time it dissipated, along with blackberry, black cherry, currant, and bramble. The mid palate was bracing with acid, a rich mouth, oak, and spice. The finish was long, with nice spice, black cherry, black currant, oak, and vanilla. Posted on May 23, 2012, in Kosher Red Wine, Kosher White Wine, Wine, Wine Tasting and tagged Adar, bobal, Cabernet Sauvignon, carignan, Clos Mesorah, Elviwines, Grenache, InVita, Merlot, Montsant, Pansa Blanca, Petite Verdot, Rioja, Sauvignon Blanc, Syrah, Tempranillo. Bookmark the permalink. 16 Comments. Nice write up Dave! Very interesting.